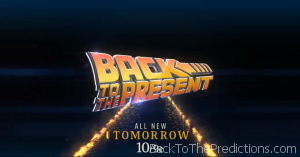 At 10pm (9pm Central) on Sunday, October 18th, History Channel will be airing a special called “Back to the Present“. 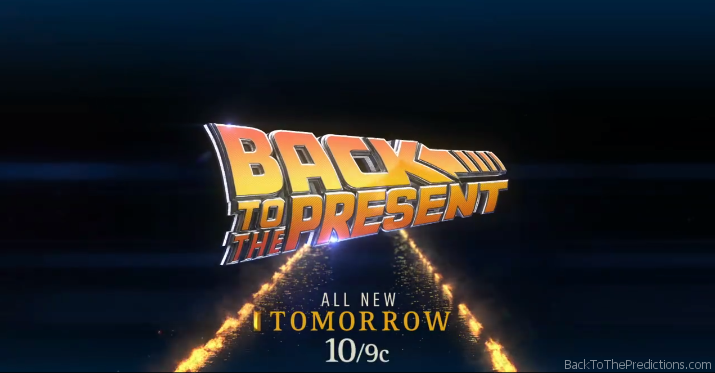 It will feature interviews with Robert Zemeckis, Bob Gale, and others to discuss how close their predictions in Back to the Future Part II are to actual 2015. Sound familiar? Like a certain web site perhaps? Yeah… This site actually was going to be called “Back to the Present”, but the domain name wasn’t available.